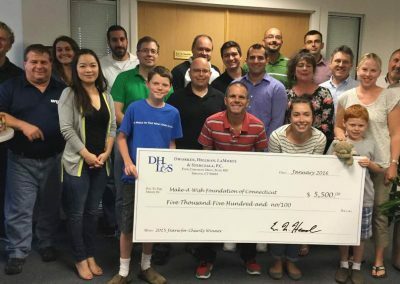 The DHL&S Jeans for Charity program encourages employees to donate money weekly to a fund that is matched by the Firm, in exchange for allowing participants to wear jeans on Fridays. 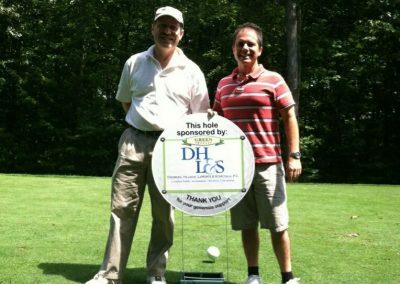 The DHL&S Jeans for Charity program has donated more than $59,000 to local charities since it was established in 2004. 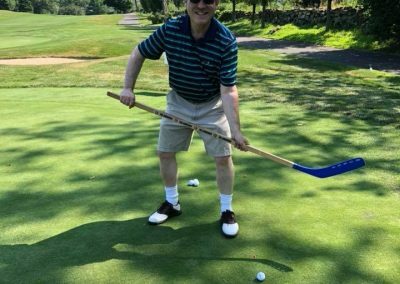 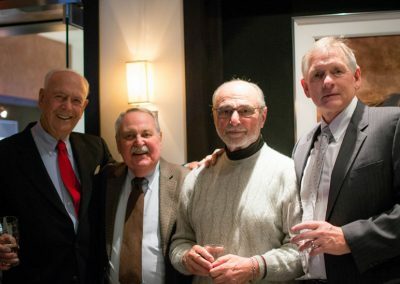 About Purple Project, Inc.: Project Purple is a Connecticut-based 501(c)(3) non-profit organization created to raise awareness, support patients and families affected by the disease, and fund research efforts to defeat pancreatic cancer. 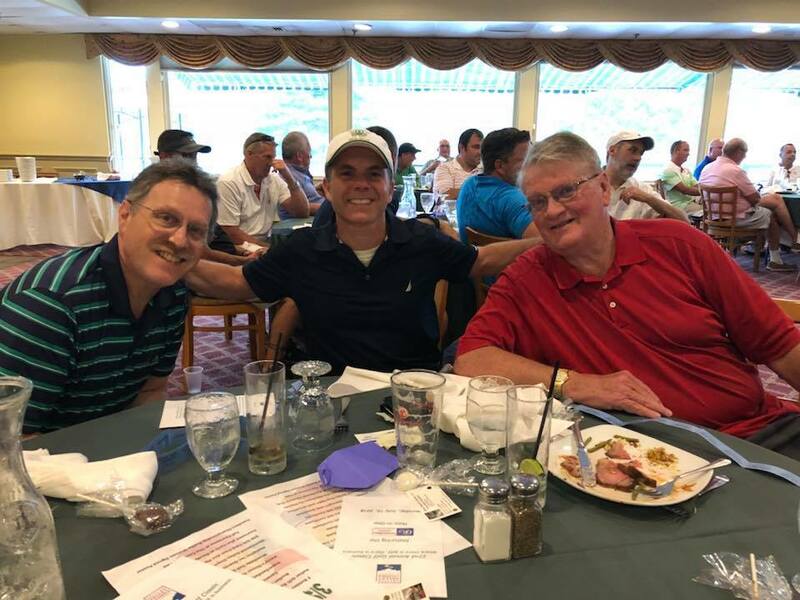 Donations help support patients struggling with medical, pharmaceutical, and everyday living expenses related to their fight against pancreatic cancer. 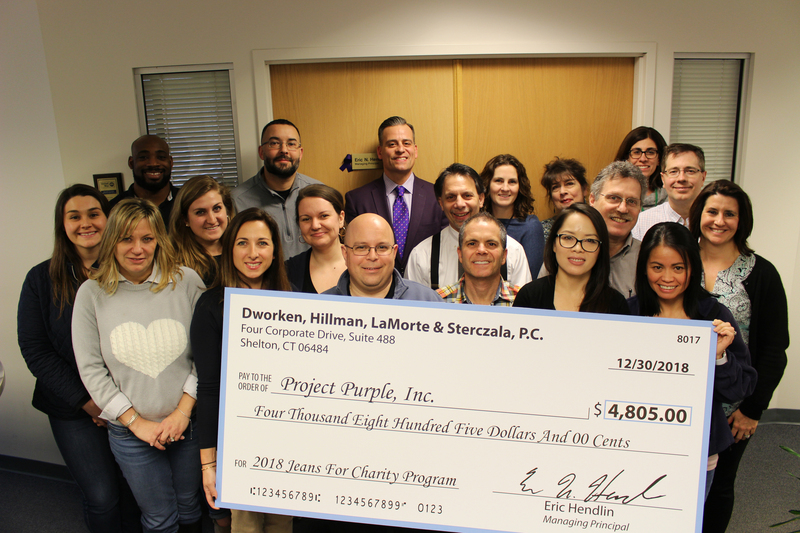 Project Purple funds also research for early detection and finding a cure for pancreatic cancer. 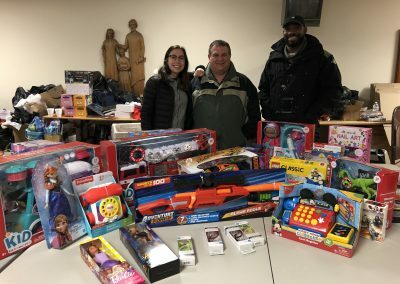 With our donations, DHL&S were able to provide TEAM, Inc. with many toys and gifts for underprivileged children. 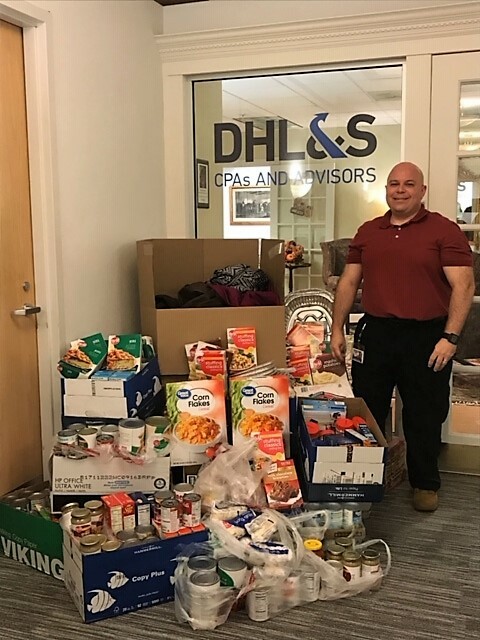 DHL&S’s Annual Thanksgiving Food Drive once again donates boxes of food and Stop & Shop gift cards to BHCare, a nonprofit agency that provides behavioral health, prevention and domestic violence services that improve the lives and health of individuals, families, and communities in the Valley and Shoreline areas. 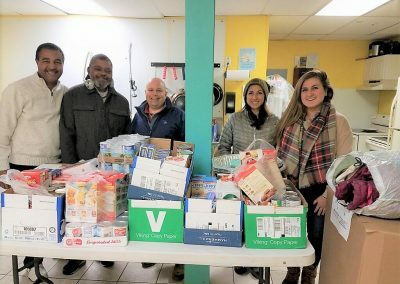 The employees also stepped it up in donating coats and gloves to My Sister’s Place Thrift Store& Donation Center located in Ansonia, CT. All proceeds from My Sister’s Place help support the Umbrella Centers for Domestic Violence Services. 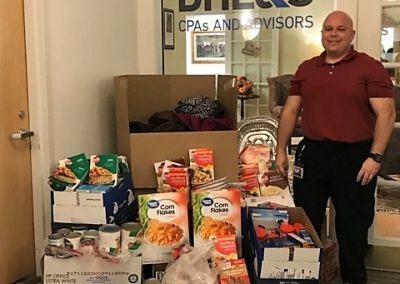 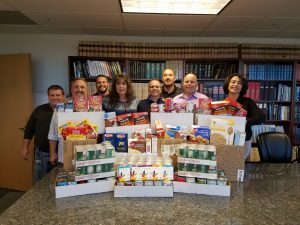 The DHL&S 2017 Thanksgiving Food Drive collects 400n pounds of food and numerous gift cards to the Spooner House Thanksgiving Food Baskets. 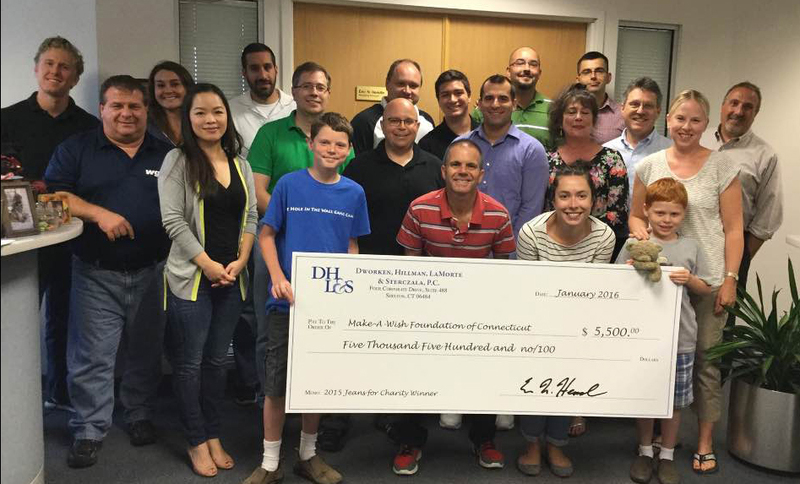 DHL&S again chose Connecticut’s Make-A-Wish Foundation as the recipient of our 2016 Jeans for Charity program, with a donation of $5,500. 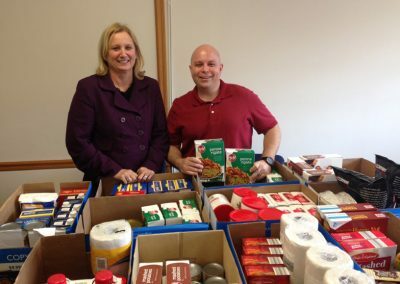 Since 2004, the program has donated more than $43,000 to local charities. 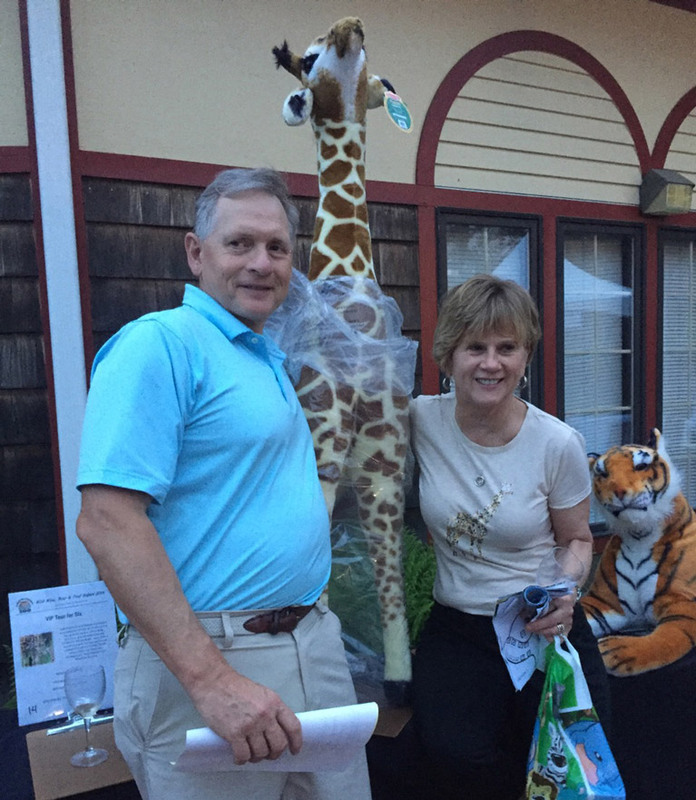 DHL&S has been a long-time supporter of the Beardsley Zoo – Connecticut’s only zoo. 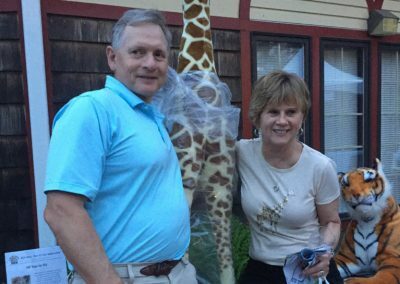 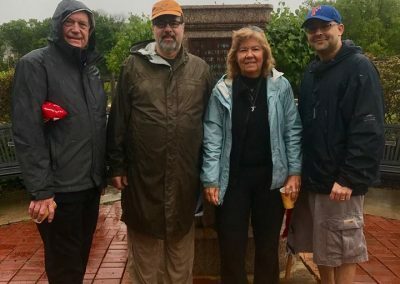 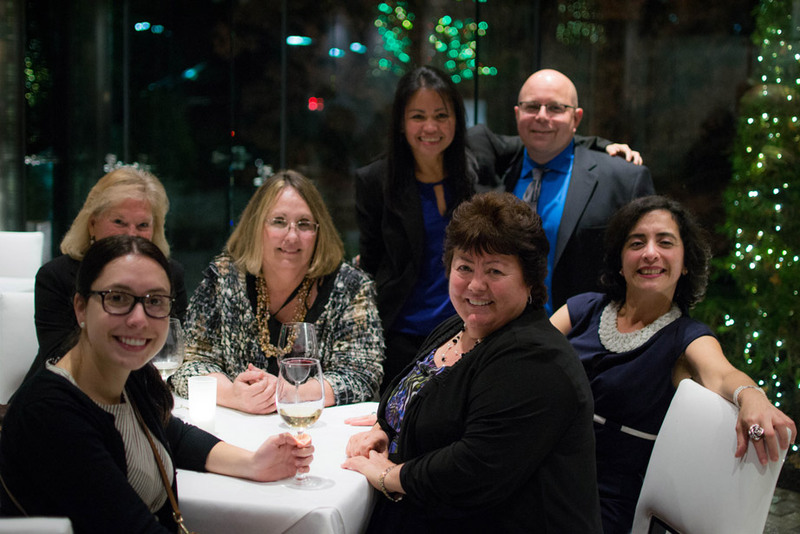 Zoo Board Member Paul Sterczala and his wife, Janice, and friends, joined over 1200 supporters to sample local food and beverages at the Zoo’s 2016 annual fund raiser. 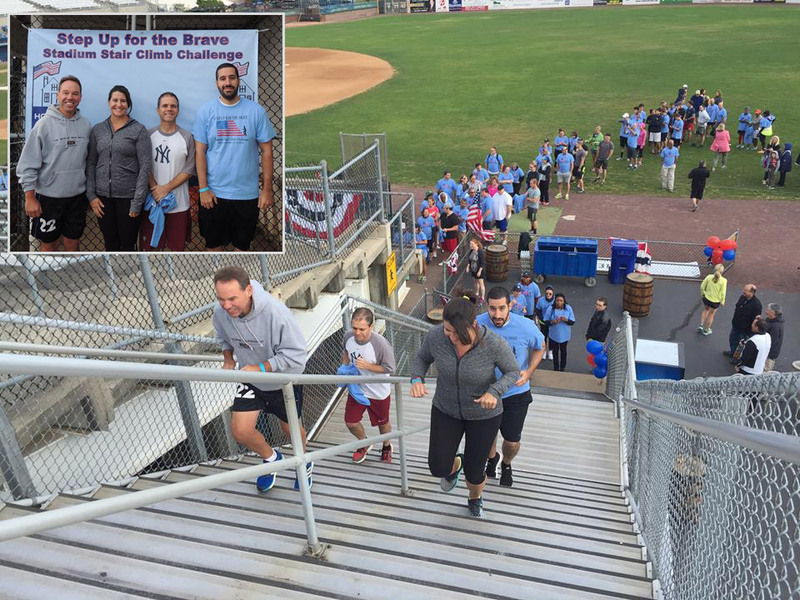 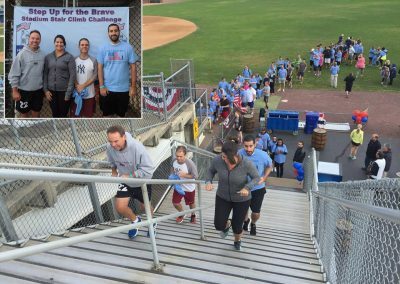 In September 2016, a DHL&S team, consisting of Bill Lesko, Jen Bull, Al Martins and Mark Pires, joined 150 others at Bridgeport’s Ballpark at Harbor Yard to participate in the annual stair climb to raise funds for homeless veterans. We are the champions! 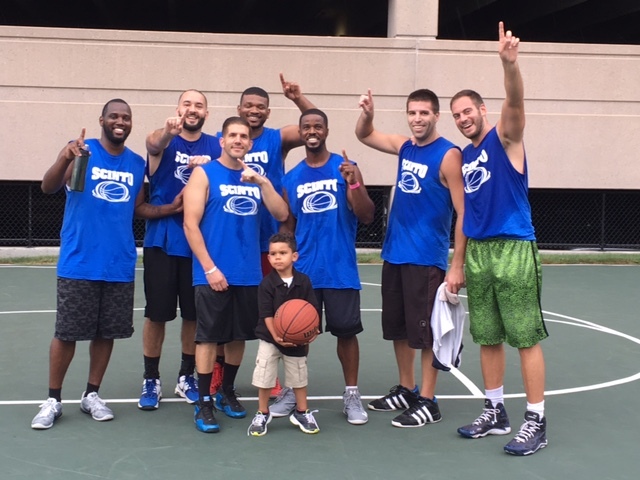 The 2016 DHL&S basketball team led by Nick DaPaz won the annual Scinto Basketball League 3 on 3 championship. 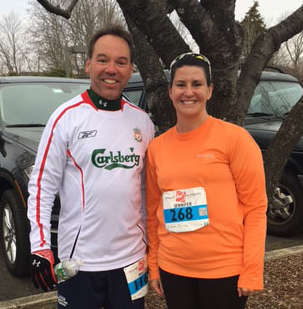 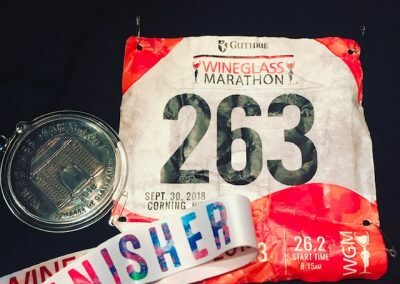 Jen Bull and Bill Lesko participated with hundreds of others on an otherwise dreary Thanksgiving Day in the Pequot Runners Thanksgiving Day Race – covering 5 miles. 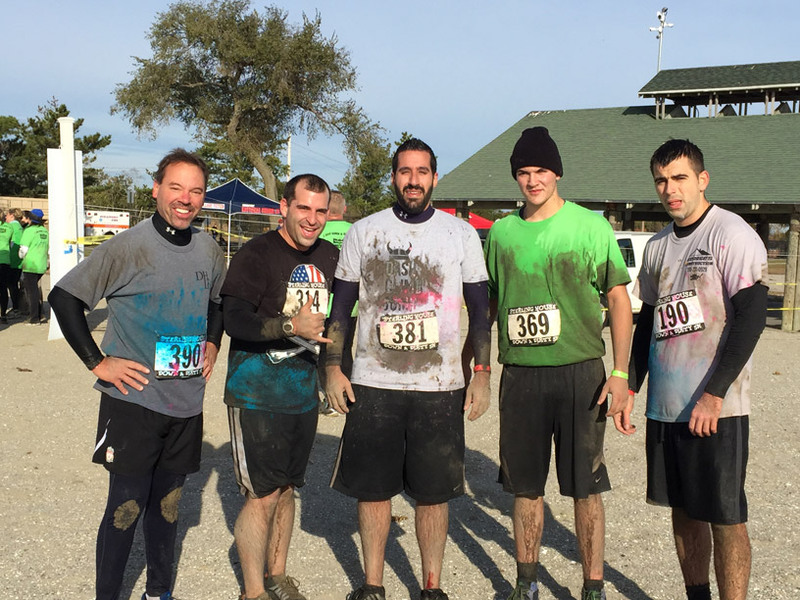 The race raises substantial amounts of money for a wide variety of local charities. 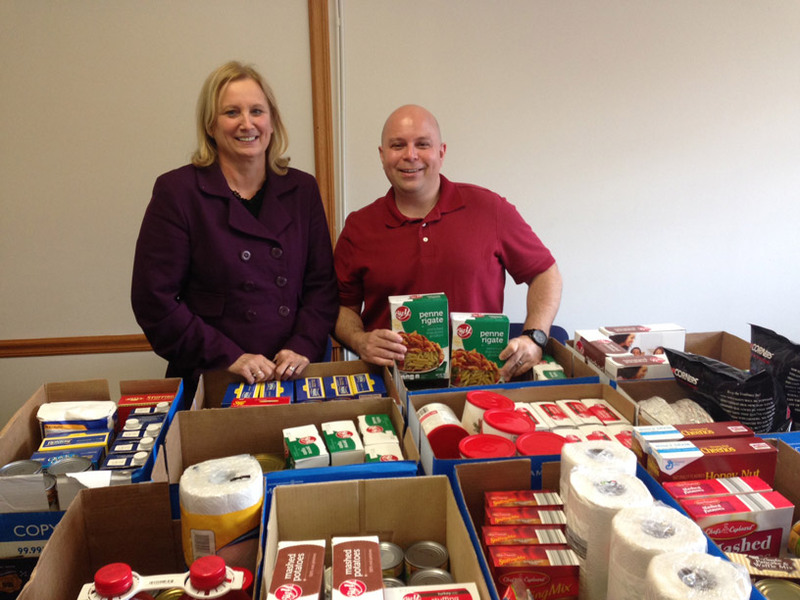 Our 2015 Thanksgiving Food Drive. 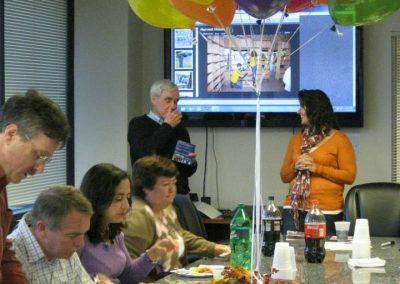 Arlene Greco, Director of Development at BHcare on left, working with our own Rob Vieira on the right. 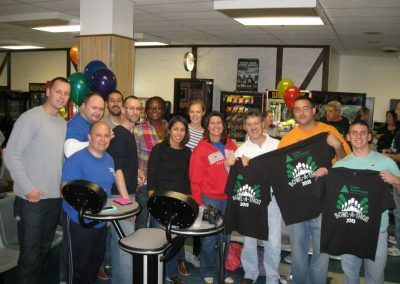 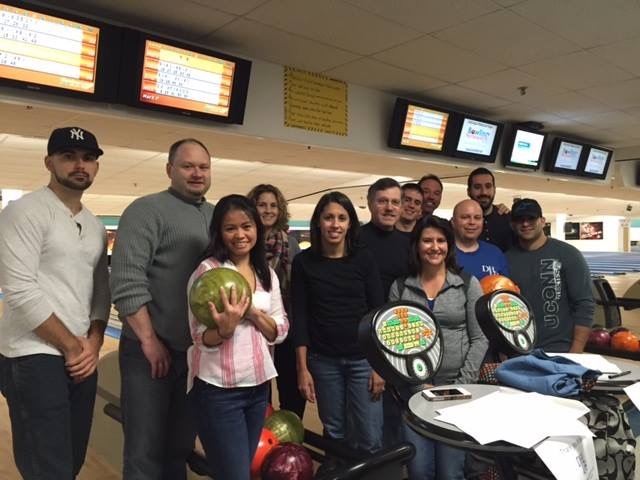 DHL&S employees recently participated in the Junior Achievement Western CT’s 2015 Bowl-A-Thon. 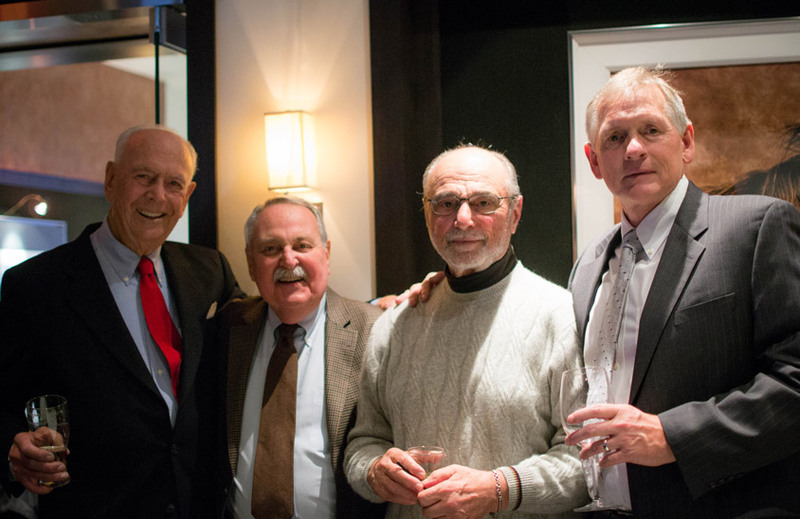 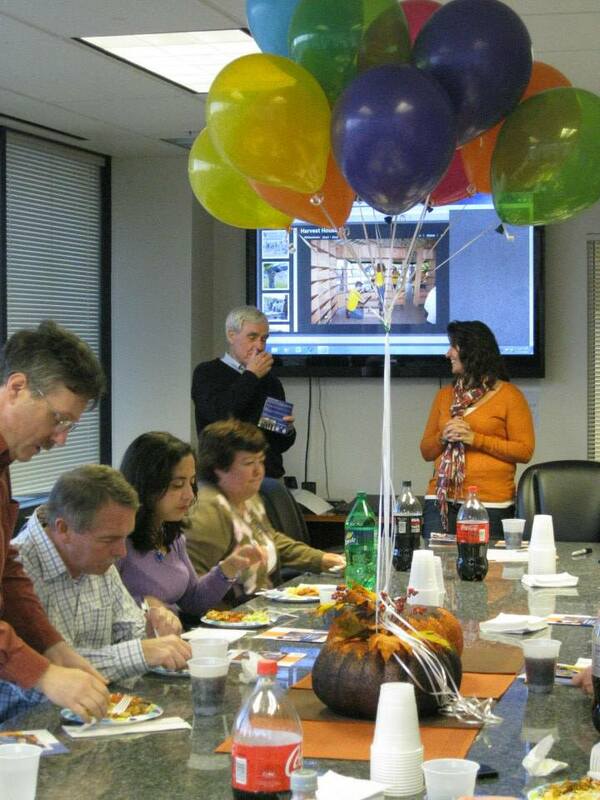 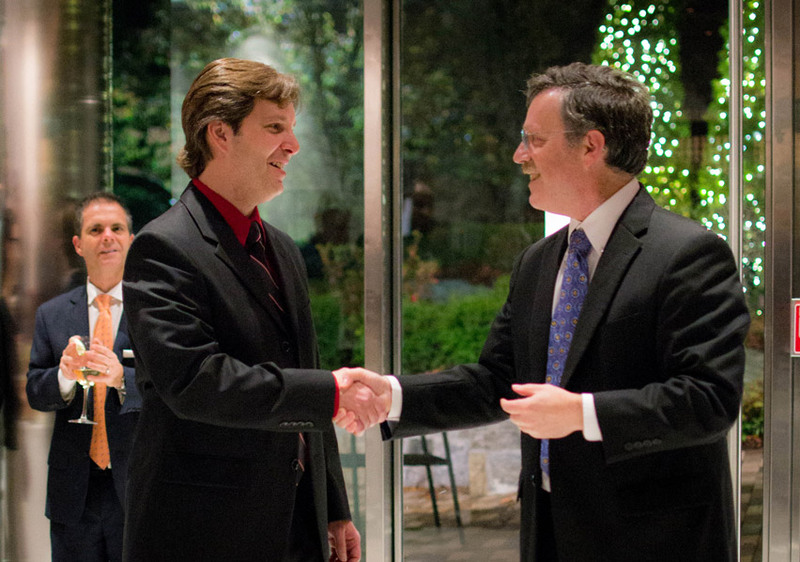 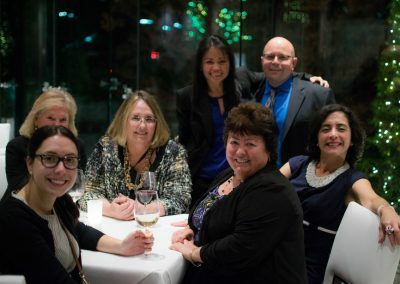 We also celebrated Peter Tomaino’s promotion to Tax Principal. Peter is on the left and Eric Hendlin is on the right. 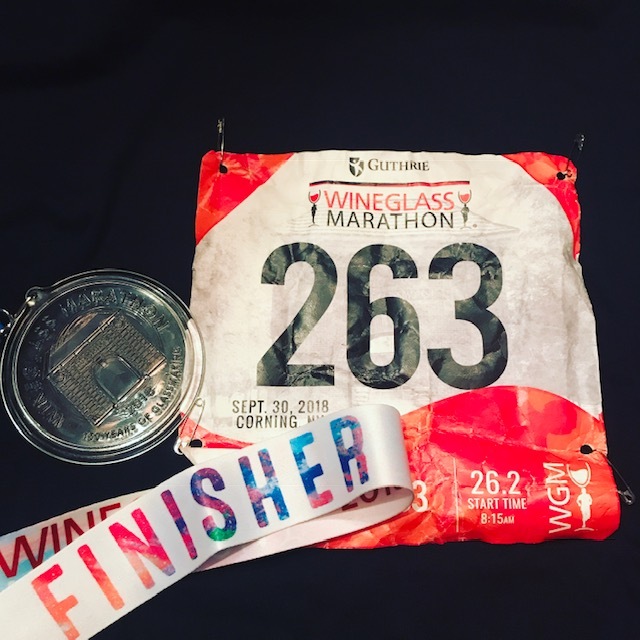 Congratulations Pete! 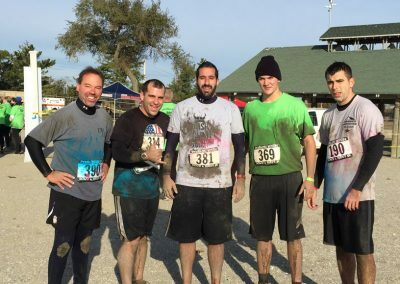 After picture of the Sterling House Down and Dirty 5K! 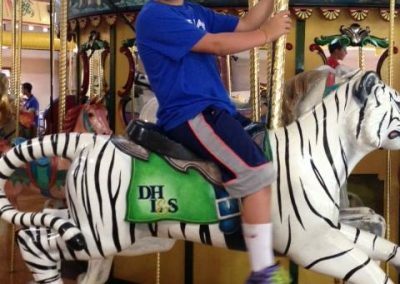 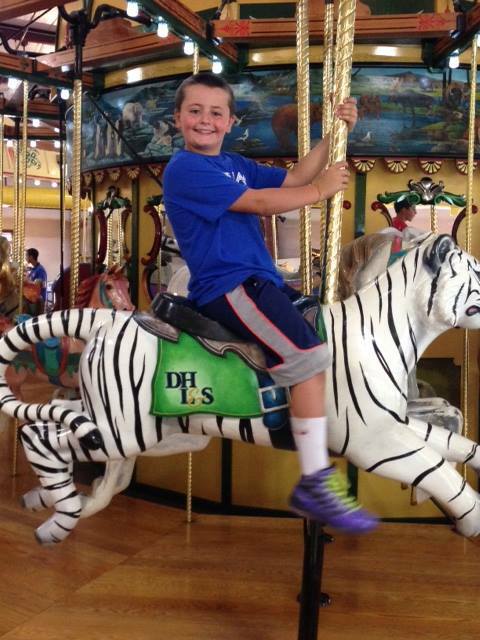 The stunning white tiger ride on the Beardsley Zoo’s carousel was donated by DHL&S. 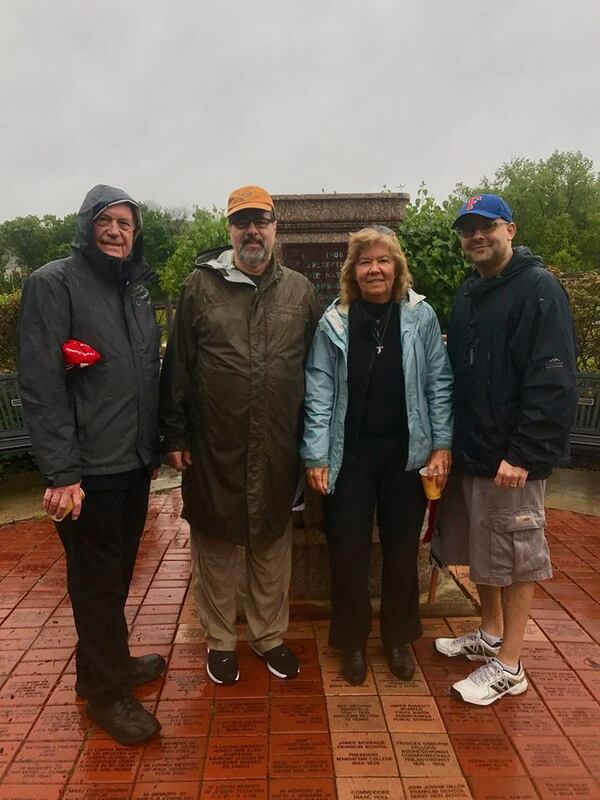 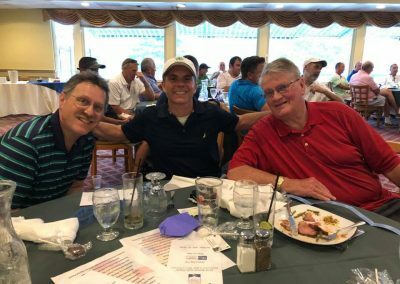 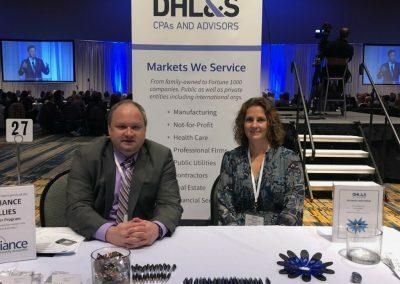 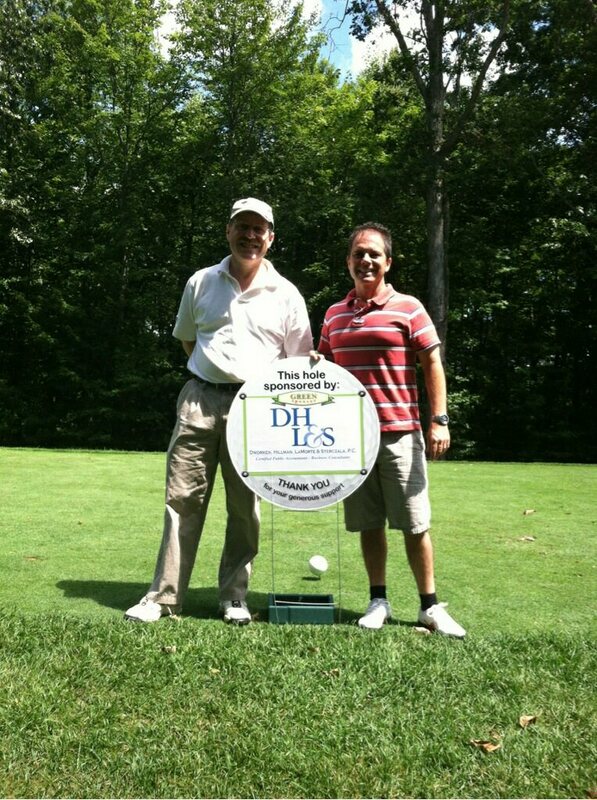 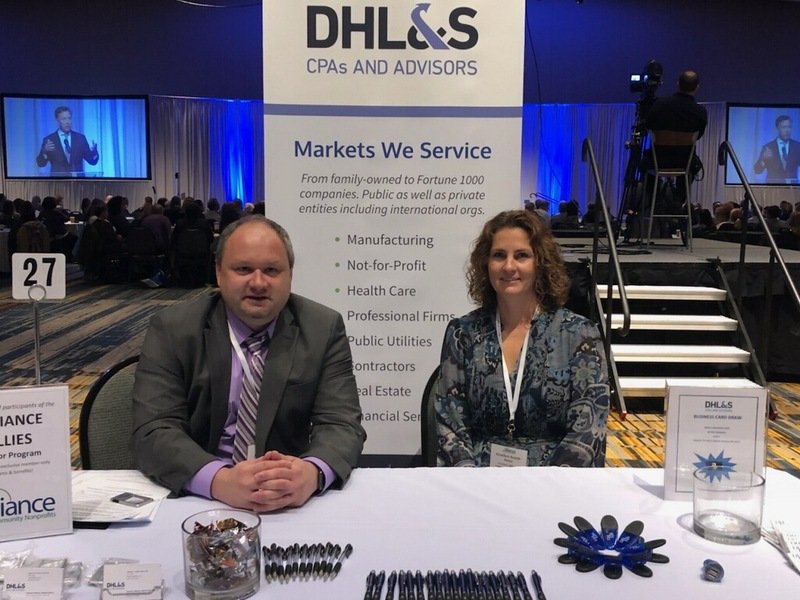 DHL&S was a sponsor of the Recovery Network of Programs golf outing, benefiting the Tina Klem Serenity House, a recovery house for women with co-occurring disorders. 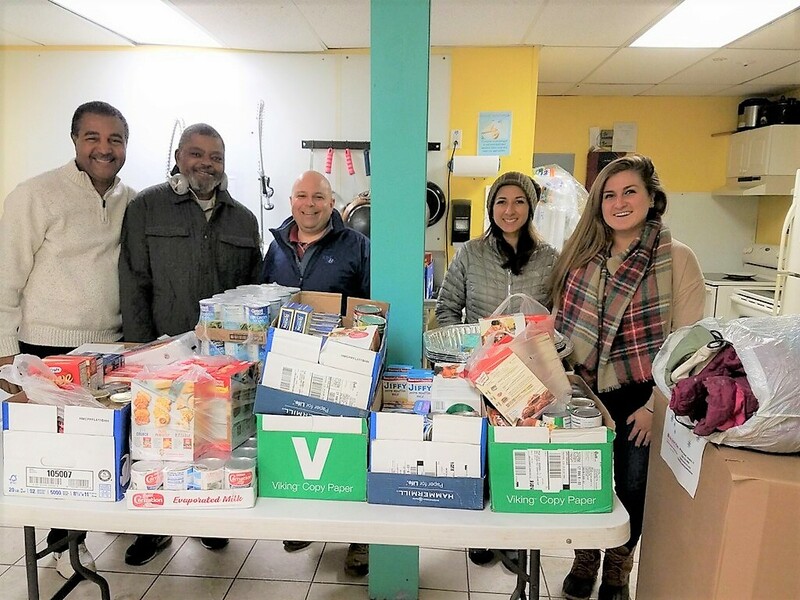 12 DHL&S team members took part in a Bowl-a-Thon to benefit Junior Achievement of Western CT.
DHL&S Principal Jennifer Bull, a member of the Valley United Way Board of Directors, presents the annual Valley United Way campaign to the DHL&S team at a firm lunch. 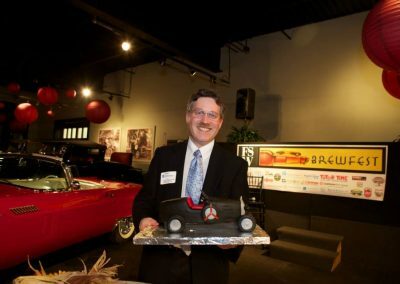 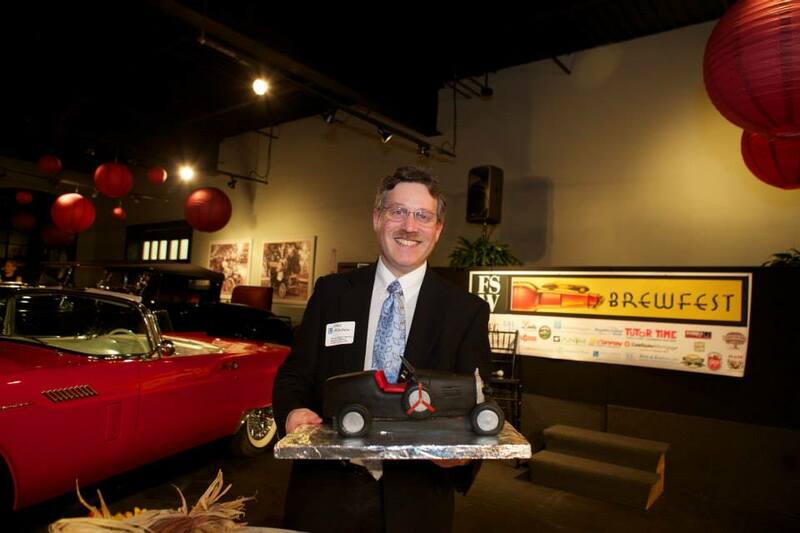 DHL&S Managing Principal Eric Hendlin won the special cake raffle – in the shape of an antique race car. 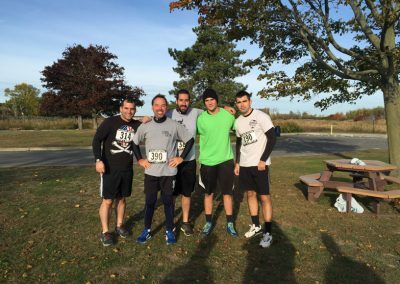 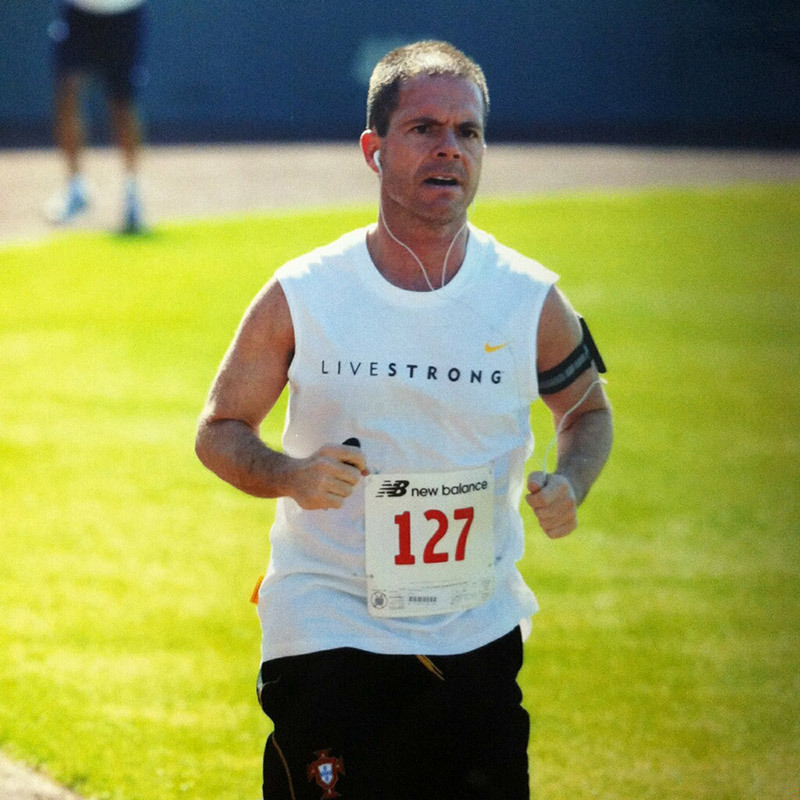 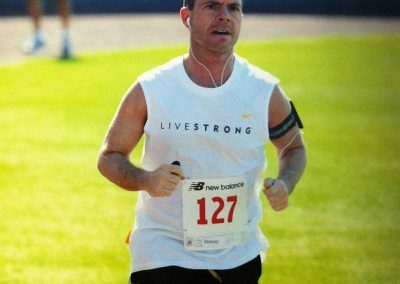 Principal Al Martins competes in the Bridgeport Hospital Home Run, a 5K sponsored by the Bridgeport Hospital Foundation to benefit the hospital’s programs. 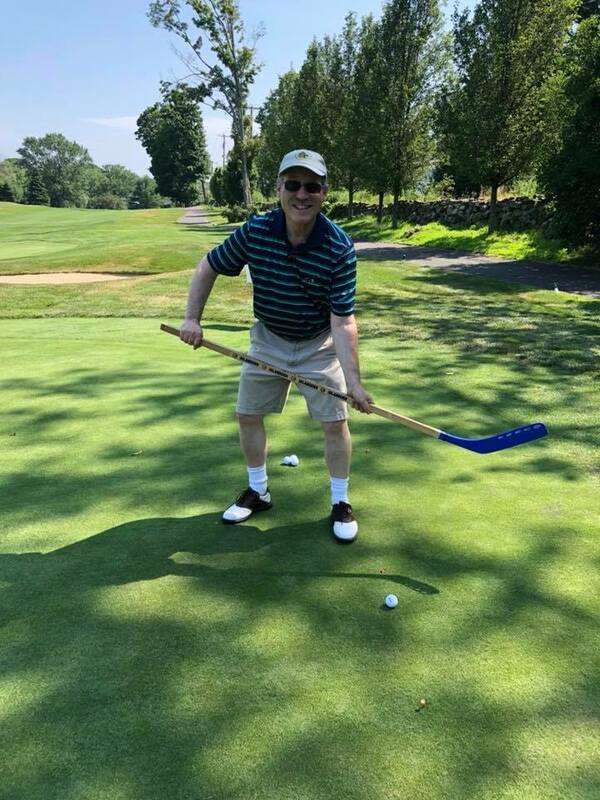 Eric Hendlin sinks a putt at the Greater Valley Chamber of Commerce Golf Tournament’s putting contest.